recommended for: Fans of An Abundance of Katherines by John Green, Dumplin' by Julie Murphy, and Me Being Me is Exactly as Insane as You Being You by Todd Hasak-Lowy. For some reason, I thought I wasn't going to like this book. I think I heard about it just after finishing Into the Fire by Josephine Angelini, which I found disappointing, and I thought, "Ugh, another allergy book!" The sweeping power of the internet convinced me to try it out--and then I realized that I am dumb. Everything, Everything is a quirky triumph, a heartfelt love story packaged in sarcasm, wit, and dictionary definitions. Madeline, Maddy, is sick. She has an illness rare and incurable, one that renders virtually every foreign substance a deadly pathogen. As a consequence, she lives in an impenetrable home with constantly filtered air. Even visitors must be decontaminated on arrival. So at seventeen, this has meant no school. No friends. Her closest others are her mother, her nurse Carla, and her books. When adorable Olly arrives next door and brings over a cake, and seems to want to know her--for the first time, she imagines a life outside of her bubble. It's the one case in which I will endorse Maddy tracking all of Olly's movements like a spy--because what the hell else do you do when you're trapped in your room all day? The growth of their friendship is sweet, absolutely aww inducing, but tempered with a dark pragmatism that prevents the inducement of any fluff-related nausea. They first communicate with messages on their windows, then messages on their Windows (couldn't help myself; anyway, I think Maddy has a Mac), and then Olly is finally allowed to visit--against Maddy's mother's fiercely protective instincts. The romantic attraction sparks early, but is allowed to grow at its own pace, thank freaking God. Moreover, this is no sappy blissfully unaware Twilight romance. Maddy and Olly challenge each other, poke at each other's vulnerabilities, question each other's assumptions. Maddy is even tentative, at first, fearing what it means to have a friend on the Outside. It makes their relationship that much more satisfying and real, though perhaps a bit more clever and bantery than your average teenage lovebirds. It's also not just about them. Maddy's relationships with Carla and her mother are fully fleshed-out and incredibly important. Carla is Maddy's friend, her benevolent fairy godmother, who doesn't coddle her and who encourages her to dream beyond her cage. Maddy's mother is especially interesting. She's a doctor, and thus extra hyperaware of anything that might injure her daughter. And she lost her husband and son to a car crash when Maddy was very young, so in her mind, tragedy is part of her life, and always impending. As reader, you can feel a mix of admiration for a woman who has altered her entire life to care for her child, and apprehension about just how enmeshed she and Maddy have become. 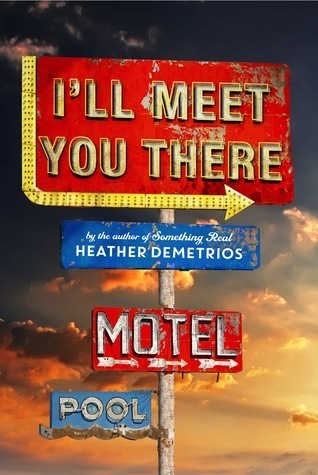 The plot unfolds at multiple levels, occupying the space of a bildungsroman without the journey--all that's internal. As Maddy becomes closer to Olly, she becomes more distant from her mother, and begins to regret a lack of the normative autonomy one usually develops at seventeen. Something she never knew she missed. She also grapples with a choice, safety or love, with truly deadly consequences. And she begins to see her mother in a new, perhaps earth-shattering light. I won't spoil what happens. I'll say that I'm torn, because I liked how dramatic it was, but I also think it was a bit of a cop-out. You can decide. Regardless where the story goes, it's told in Yoon's razor-sharp style. For her writing alone, I can forgive many faults (not that there are many). She gives Maddy's voice a realistic precociousness, given her solitary, accelerated maturation, and she hones it with an edge of cynicism tempered with dreaminess that I found very personally relatable. The result has a similar dry hysterical-ness to John Green, but feels less try-hard. This is a book that made me snigger, out loud, multiple times. Peppered in between with instant message conversations, Maddy's personal dictionary entries and book reviews, drawings, and diagrams, it's the perfect marriage of form and function for a window into our caged bird's mind. I'm ecstatic to see what Yoon does next. 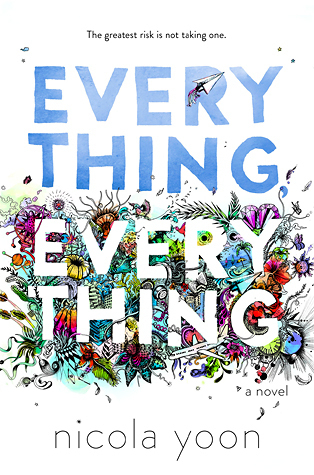 Everything, Everything is a sparkling, witty tale of an unlikely romance, a girl finding herself, and the indestructible nature of bundt cake--and love. I need this book in my life!! I love it when a book doesn't just focus on romance. I like books that also give attention to family relations and such. I've never come across a book that deals with allergies. Everything Everything's premise really caught my attention and how well it was executed is certainly a great plus! I'd really love to read this (local bookstores NEED to have this already!! ugh).. Great review! You totally do! It's really well rounded. The romance is a big part, but it's not like OMG THE ONLY THING EVER. I hope you get a copy soon!